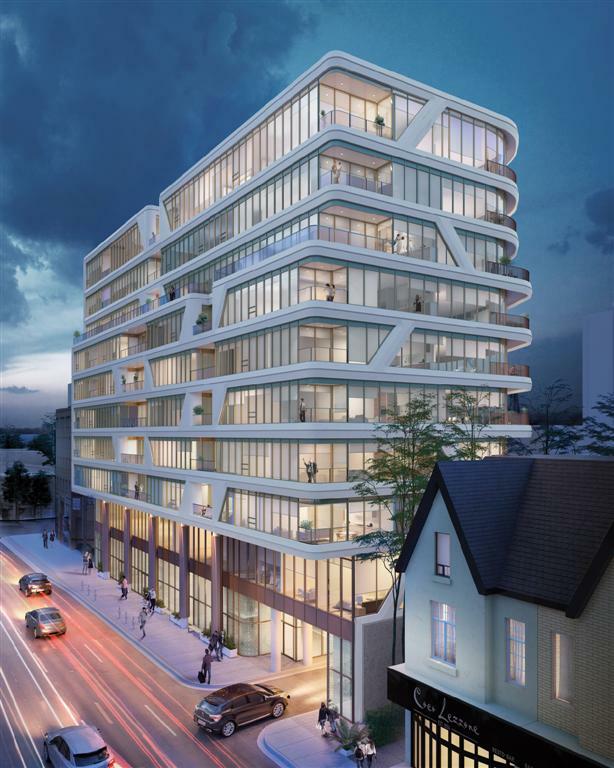 Located on the border of the Yorkville and the Annex neighbourhood, with Rosedale just a few blocks away, 151 Avenue Road offers an incredible central location. Avenue Road at Davenport is an enclave with a personality all its own. Surprisingly quiet and unpretentious, this little pocket of upper Yorkville is a favourite with urbanites who don’t want the hectic pace and noise of living a few blocks to the south. This exclusive residence favours quality over quantity. Every square inch of the 72-unit structure has been thought out, with carefully-considered details ranging from the organic waves of the curvaceous exterior to the luxury finishes in each suite. The daring, sculptural design of the building sets it apart. Unique forms encompassing large terraces look like wings about to take flight. It’s a modern touch nestled in amongst more traditional buildings. The developer is now offering VIP pricing to my clients for a limited time.